Bentley Scottsdale Polo Championships Expands to Two Days Offering Brand New Sunday Brunch, Monte-Carlo Polo Team, Sandbar, Pop-Up Restaurant and More! Tickets Now on Sale; Exciting New Sponsors, Matches and Events Within the Event including Opera, Fried Chicken and Shakespeare! (SCOTTSDALE, Ariz.) – The Captain of the Wales Polo Team calls The Bentley Scottsdale Polo Championships: Horses & Horsepower “the best polo event in the world” and this year will be the biggest yet when it returns on Saturday AND Sunday, November 11th and 12th. Brand new in 2017 – America’s most interesting polo event will offer even more excitement on Saturday when the Monte-Carlo Polo Team makes its debut to take on the two-time defending champions from Aspen Valley, led by the Ganzi family. 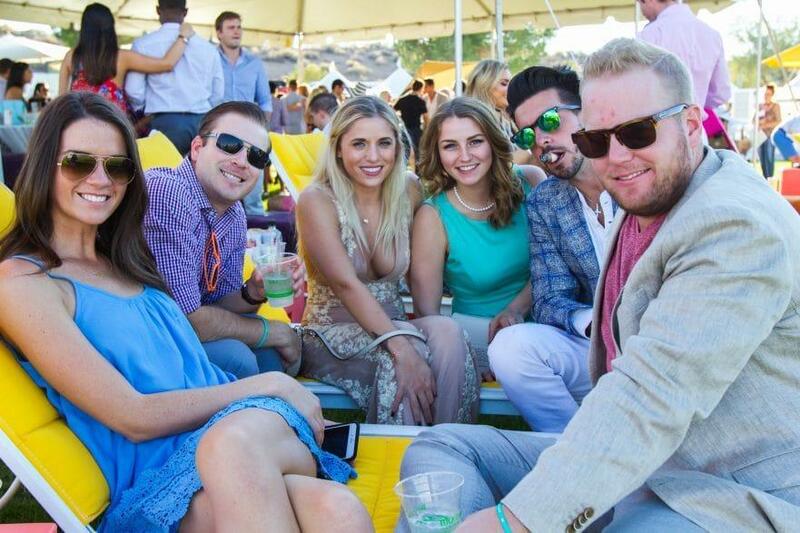 For the first time that day guests will be able to enjoy exciting new elements like Prime: A Luxury Tent Experience by Steak 44, Neiman Marcus & Barrett-Jackson, The Bottled Blonde Polo Lounge Presented by Stella Artois, performances by the Phoenix Opera and Shakespeare in the Polo Park. The Polo Party is now expanding to Sunday with a Brunch and a tribute to America’s greatest female polo player of all-time – Sunny Hale – in the Battle of the Sexes Match. Other exciting new additions for a weekend of polo include: Sandbar (named after the successful Arizona bar and restaurant that will include a tent with sand fieldside) while teams from Santa Barbara, Seattle, and St. Moritz, Switzerland will be making appearances for the first time. The event also welcomes Fried & Fizzy, a new pop-up restaurant featuring champagne and fried chicken by acclaimed local chef Michael DeMaria. Tickets are now on sale in many categories that sold out last year. Gates open Saturday at 10:00 a.m. and 10:45 a.m. on Sunday. General Admission starts at $25 Saturday and just $20 on Sunday. Click here for details on tickets and for a full schedule. Back again this year are Sideline Parking and Twilight Ticket options. RV Day passes are also available to purchase for either day. Saturday will conclude with The Women’s Sunset Polo Match. And Sunday will begin with The Brunch: Sponsored by Scottsdale Maserati and a Battle of The Sexes match, followed by St. Moritz vs the Clogau Wales Polo Team, an event favorite. Like the Waste Management Phoenix Open, Saturday will be the day of parties and revelry, whereas Sunday will be more traditional. As always, the Arizona Polo Club and Polo Azteca will be playing too, showcasing some of the state’s best polo. 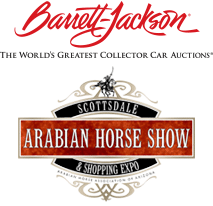 Attendees will also enjoy a sneak preview of the 2018 Scottsdale Arabian Horse Show and see some serious horsepower with a preview of the world-famous Barrett-Jackson 2018 Collector Car Auction along with local Ferrari and Lamborghini car clubs lining the field. From the cars, to The Canine Couture to The World’s “Longest” Catwalk Fashion Show, there is truly something for everyone. For those seeking to mix and interact with the polo stars, reserve your VIP seat or table now for Saturday in the Molina Fine Jewelers Drivers & Players VIP Lounge, a scene that has become one of the greatest in the world of polo. Tickets to this VIP experience include complimentary food and cocktails, alongside premier seating with exclusive access to drivers and players. Limited to 120 guests, Prime: A Luxury Tent Experience by Steak 44, Neiman Marcus & Barrett-Jackson, is a new experience in 2017 offering guests the opportunity to enjoy several options of the best in prime steaks, an array of fresh seafood and an assortment of chef inspired side dishes and appetizers by Arizona’s top steakhouse, Steak 44 with special touches by Neiman Marcus and Barrett-Jackson. Tickets are available for $300 and all drinks and food are included. Tickets, tables, tents and sponsorship information are available now at www.ThePoloParty.com. With the breathtaking backdrop of McDowell Mountains in Scottsdale, Arizona, the event started in 2011. In 2016, more than 11,000 people turned out for what has transformed into the country’s most attended polo event and the world’s most interesting.